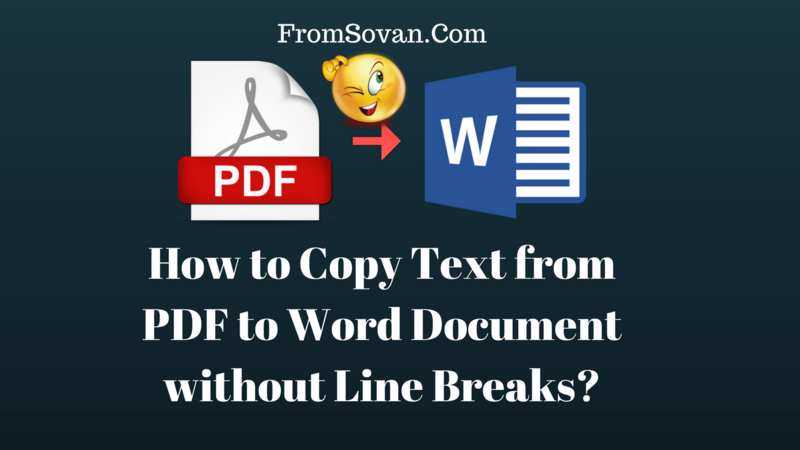 Home / Microsoft Word / How to Copy Text from PDF to Word Document without Line Breaks? So what we resort to is press “Delete” and then go to the end of the statement and again press delete and so on... So doing that is a very time-consuming exercise. Let me show you how this can be done in an automated way. At first, I will promptly illustrate you the trick then I will explain the logic behind that trick. So, click anywhere in the document. Press Ctrl H. That is what activate “Find and Replace”. Go to the “More” button and press “Special”. 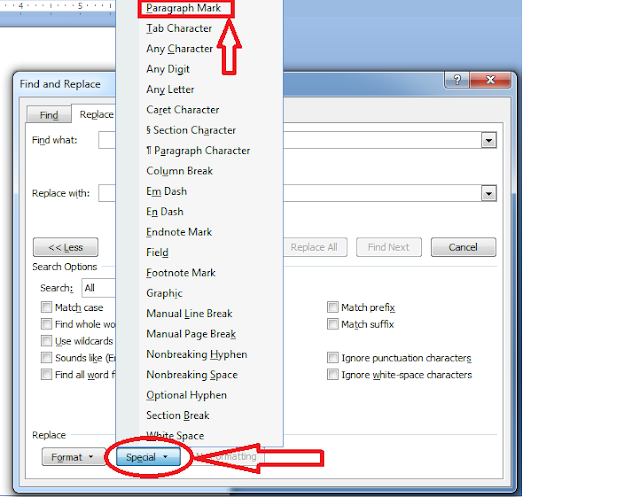 You will find the option called “Paragraph Mark” at the top. Click on that then click on replace all (Note: If needed, you will use replace those with “space”). Press "No" to stop windows scanning the rest of the document. In the background, what happened is exactly it is what you were looking for. Now, how did it happen? Let me give you the logic now. If you go to “Home” tab then click on the “Paragraph” (¶) icon; notice, after clicking on the “Paragraph” (¶) icon, this gives you the sign which is invisible and cannot be printed out. What you do when you press delete and give space. You are actually deleting the paragraph mark. So there is no keyboard key which actually replicates the paragraph mark. However, as we saw ctrl + H, the “More” and “Special” Button allows us to replicate to the power “p” which is the proxy for paragraph mark. So it’s an interesting trick. You will love it and try this when you will work with the next PDF documents. I hope this small trick about “How to Copy Text from PDF to Word Document without Line Breaks?” will help you. If you have any question please mail me at fromsovan@gmail.com.